The text below is not trying to be deliberately provocative. What I am trying to do to is to see both sides of the debate and to bring a global perspective into the context of the recent exchanges, manifestations, boycotts, etc. 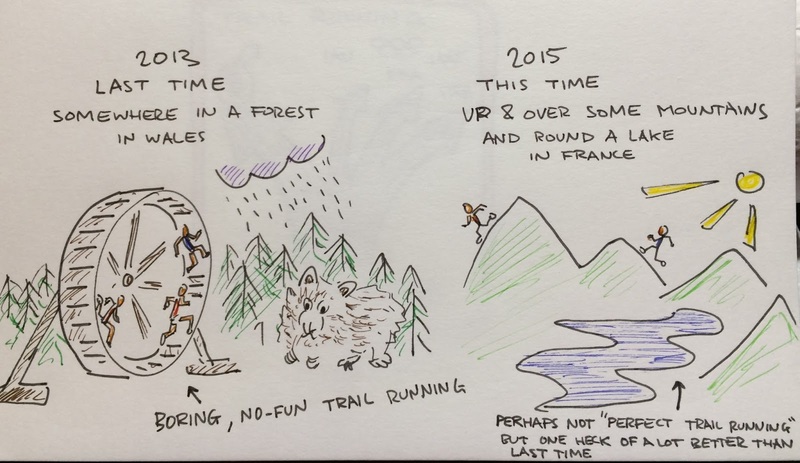 It's not about Skyrunning vs trail running either. They are not the same thing and they don’t necessarily need to conflict. They are set on different terrain and they have different values. I am a big, big fan of Skyrunning. For me it's the coolest version of running around, but I know many a trail runner at the World Trail running Championships in Annecy who wouldn't be seen dead on a real Skyrace course, like Kima, for example. Let's just accept that and let’s give both of these versions of off-road running a future. 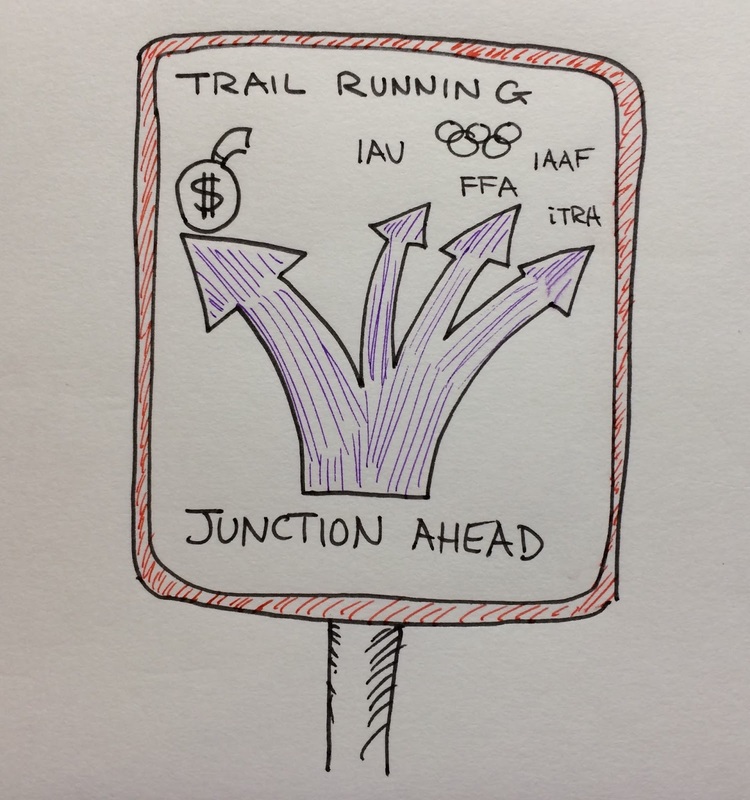 They can both have World Championships, Skyrunning can be more branded, with more money, cash prizes etc, whilst the World Trail Running Championships can be run by a separate non-profit federation with its heart closer to the original Olympic values. 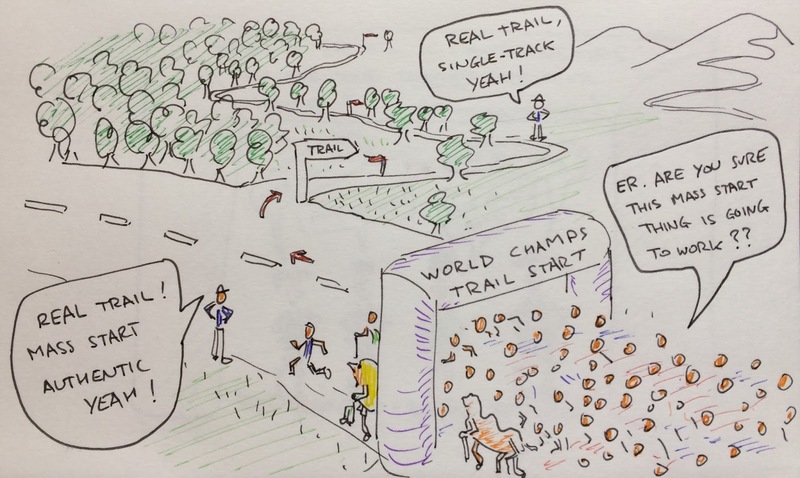 Like those held for other sports, the World Trail Championships are about countries competing against each other in a big international event. Whilst Skyrunning and trail running are separate in the nature of terrain and perhaps their respective financing, parallels can also exist - both should not stray into lapped courses, wide tracks or tarmac, for example. And both need a proper system for drug testing. As sports evolve organisations and federations form. Companies also jump on the band wagon. A growing sport does need to be controlled and organised to a certain level, we all agree on that. As the federations set up their respective series and championships they inevitably don't get it right first time. Take Skyrunning for example. They tried to go global a bit too quickly and as a consequence ended up bringing inappropriate races into their circuit. (Les Templiers is a pure and classic trail race. It has nothing in common with Skyrunning, yet it was included in one of the early world Skyrunning series). The ISF recognised their errors and are now returning to their (originally Italian Alpine) roots with races like the Glencoe Skyline. This evolution however takes time, organisation and a certain amount of trial and inevitably error. What do I think personally? I think having a World Championships is very good thing. It brings credibility to the sport. National competitions are great. It would be a shame to limit ourselves to “team” competitions being about shoe maker X vs shoe maker Y. I also think that a separated (elite / mass) start is a natural and correct approach for such an event. And finally, I believe that the best races are the most natural ones with lots of small paths, mountains, nature... They can be rough, rocky and a bit dangerous and fit into the Skyrunning category and they can be smoother and more undulating, without necessarily big mountain summits and ridges, and fit into a trail running category. I'll be on the start line of both. 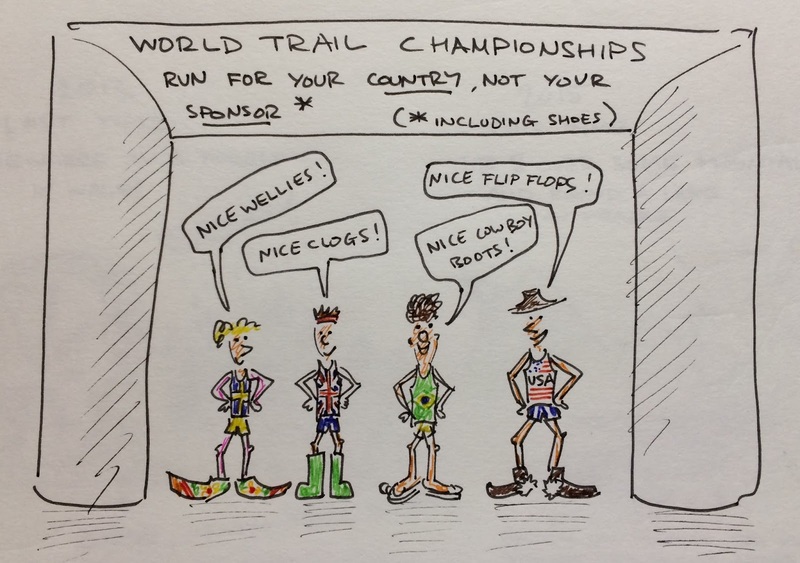 So, now for the crux of the debate: Certain "trail celebrities" are boycotting the World Trail Champs this weekend. Why is that? And what is my perspective? Because the Championship start is separated from the mass race start! 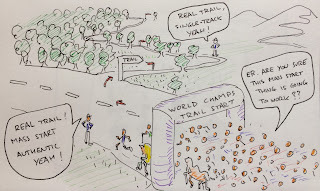 - Trail races are about single track. If hundreds or thousands of enthusiastic trail runners funnel straight into a single track it gets messy! Because I can't wear my branded clothing! - Is it not a proud moment to represent one's country? Don't worry; the countries don't have to supply the shoes! A Championship race is about one country vs another, it's not about Make X vs Make Y. Clogs vs Wellington boots. Because it's "elitist" and controlled by an independent Federation! - The sport is getting more financial backing; top athletes make money out of it. The sport does need some regulatory bodies and importantly it needs doping control! 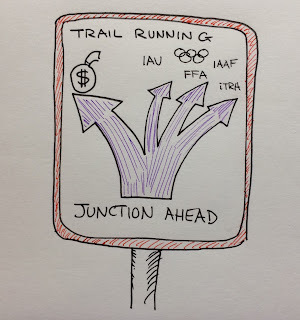 The IAAF, IAU, etc.. may well have some suit-clad odd-bods who may not be best positioned to determine trail running's future (I’m not saying that necessarily the case :-), but importantly, and contrary to some of the suggested alternatives, it IS an independent organisation. The preference proposed by many athletes seems to be a sport controlled by the shoe and gear manufacturers. Now that feels like a more dangerous future to me. It means a money-controlled future and with money comes mess, we know that. Remember that when certain top trail runners speak, it is not necessarily their natural voice, they could have been hypnotised by their marketing managers. Because it's too flat and easy! - The 5 laps of a forest in Wales were a joke and a slap in the face for the sport. Not representative and certainly not a good advert. 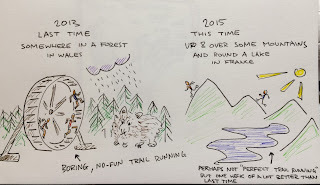 Trail running is not hamster running. The Annecy course may have been modified, but it is nonetheless one hell of a step in the right direction since the last Championships i.e. no laps, steep mountainous, lot's of single track and some nice views! Superb reflection, Andy, Comprehensive and balanced. 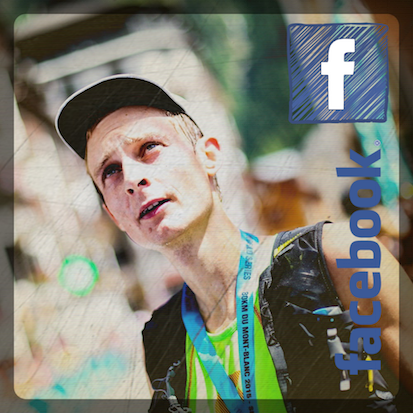 As a popular runner and trail journalist, I love to race and cover either Skyrunning World Cup or Ultra Trail World lTour. I love the atmosphere at Zegama, not less than that of Leadville 100 Miles. And I sure feel lucky to come to Annecy tis year, right after having been at Transgrancanaria, Transvulcania & Zegama..and before going on to Matterhorn, UTMB and Tor. They are all beatiful. And now, let the Word IAU Trail Champs begin and let us all get set to cheer on those great athletes there, from Tom to Luis Alberto. From Krissy to Nathalie. Bravo! Do you want to marry with me? Man, you rock, great, so nice to hear your smart words, adding some perspective others don't have or don't want to have. We need people like you in governing bodies representing runners. No joking, consider it. Most people run to escape politics. I don't know much about running outside the English fellrunning scene, but the attraction here is that the sport is a Common Good, stil uncommercialised, not monetised. Money & sport don't mix. Stand up for our sport! Well said Andy! I agree whole heartedly with everything you said! I actually competed in the IAU event last weekend and believe that it has a place, just as sky running does, for a world competition. I agree that it is a dangerous path to go down to have sports brands govern the sport and that an independent body would be better, perhaps with runners like yourself on the board to bring this perspective to the table. I think it is a great shame that brands can dictate to athletes when it comes to international competitions whether they can run or not. From my own POV I was extremely proud to wear my GB vest and the colours and flag regardless of which brand made the kit. My own sponsors were more than happy for me to wear this clothing as they were both delighted for me personally on my selection but also realised that by association with an international competition i may raise the profile of their brand so a win win situation. 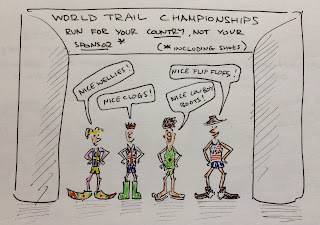 I also agree with you that without such competitions where national bodies assist their selected athletes with travel and accommodation many superb trail runners would miss out on these competitions. I certainly fall into this category. it would only be those athletes with the big sponsors and who make a living from the sport who would experience such amazing events all over the world which I think would be such a shame.